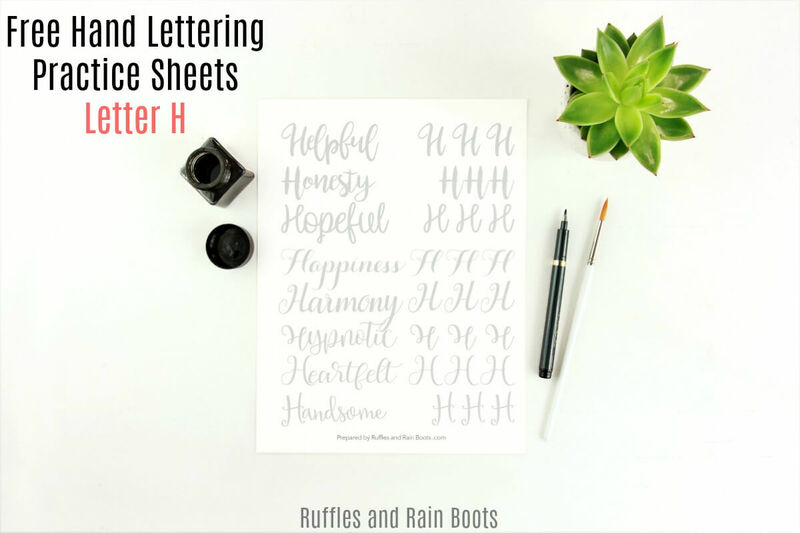 This set of free uppercase letter H hand lettering practice sheets will help you develop bounce, brush, and modern calligraphy styles. 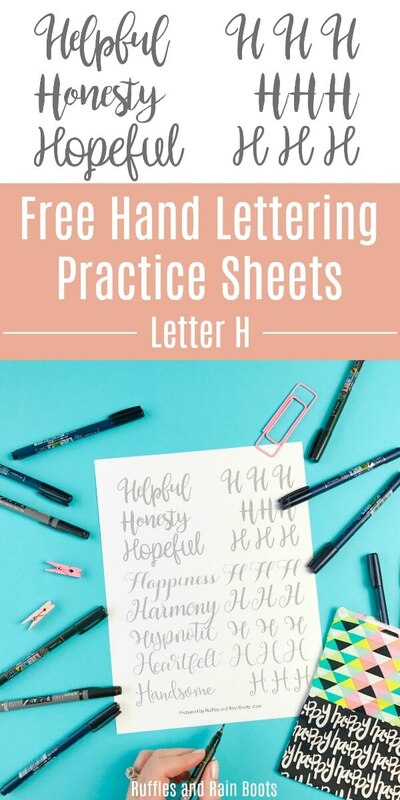 Helpful, hopeful, heartfelt – these are just a few of the words included in the free letter H hand lettering practice sets I’ve made for you. 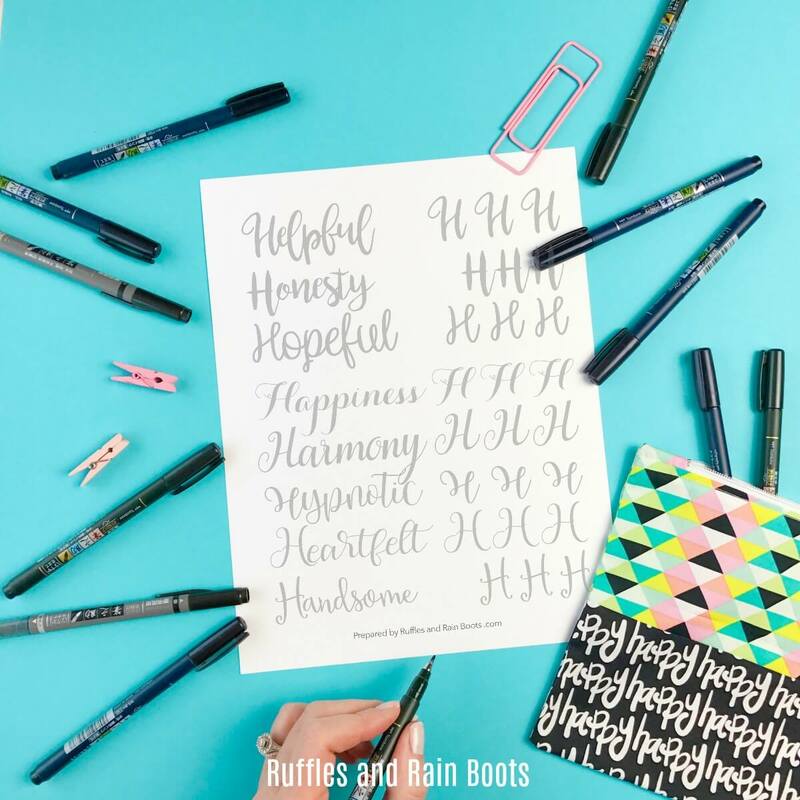 Grab your password and access the members-only Lettering Library here on Ruffles and Rain Boots. It’s at the bottom of every email I send. If you don’t yet have access, sign up with the link below and you’ll be notified when we release new sets. Note: as we must remain compliant with all international laws, you must sign up and confirm your subscription (a second email).